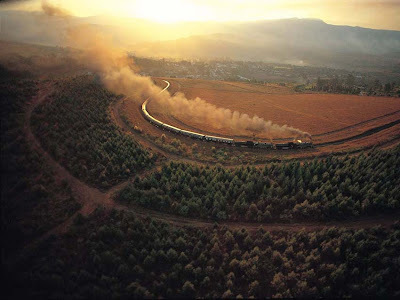 For quite a lot of time we had a few of these images, and we never made a post out of it. What we have here is not categorized or is in some sort of an order; these are some random things we picked up over a period of time. 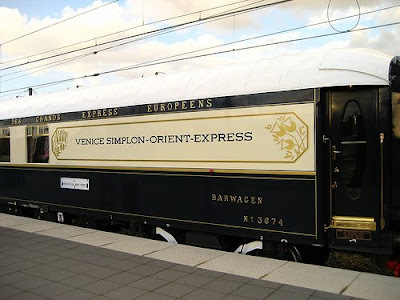 But there is one thing in common in the whole of the post, i.e., 'Trains'; hope you will appreciate this as much as we did. And just one other thing, if you have any image or info that can be added to this post, then do mail it or put it in comments! 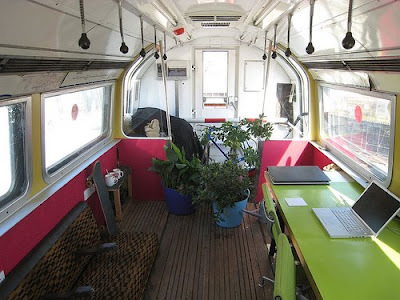 Beautiful color combinations with vegetables creates really impressive interiors. 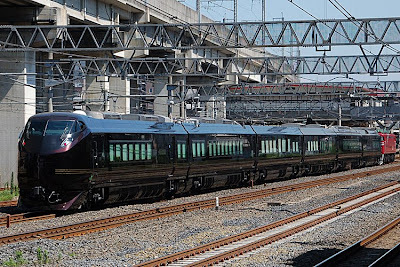 Best Train Journeys in the World: Here are a few selected from the 'World's Top 25 Trains' which are picked up randomly. 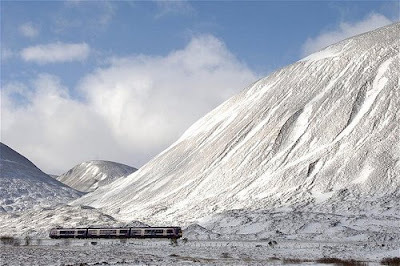 A holiday on 'The Royal Scotsman' is regarded as one of the world's great travel experiences. 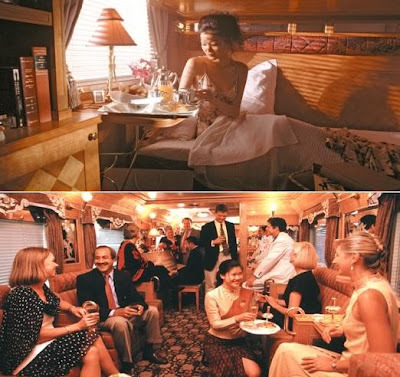 It accommodates just 36 passengers; its for those who seek superior service with plenty of luxury settings. 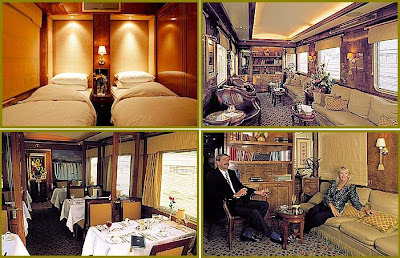 Eastern & Oriental Express offers comfortable and elegant compartments, delicious cuisine, superb service and a panoramic view of the landscapes of Thailand, Singapore, Malaysia and Laos. 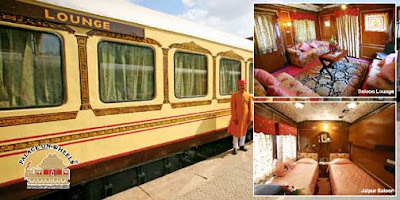 India's first hotel train 'Palace on Wheels' a joint venture of Indian Railways and the state of Rajasthan's tourism office. 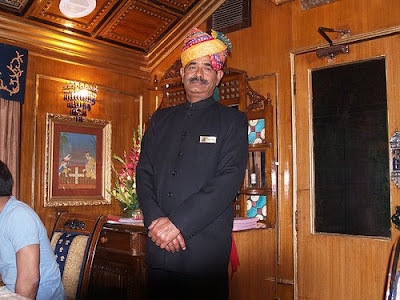 The Palace On Wheels cruises along in royal style, the kind only the Maharajas of bygone era enjoyed. 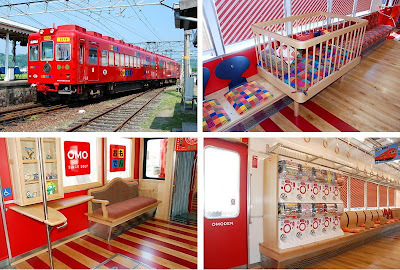 At the first glance it looks like its some shopping mall or the interiors of a star hotel, but these are the photos of train interiors in Japan. 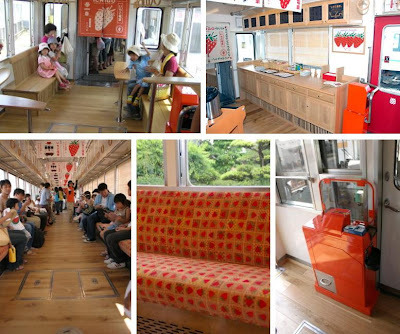 Both the trains 'Omoden' (toy train) and 'Ichigo EC' (strawberry train) are designed by Eiji Mitooka; these were created with an intention of making the train travel a more pleasant and comfortable experience for all, and especially for the children. 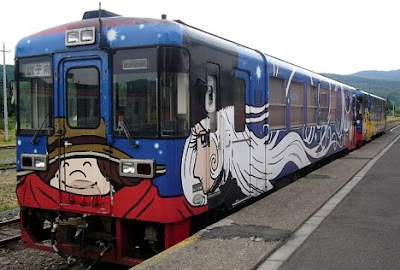 Here are a few painted trains which look really cool and some come from the land of inventions running on their 12,000-mile rail network, decorated with images of anime characters, colorful advertisements, and designs by notable artists. 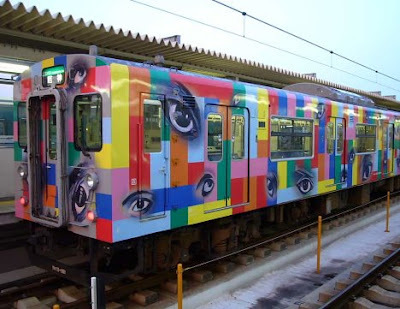 These painted trains look so colorful and attractive; we can say that lots of creative space is left empty on unpainted trains. 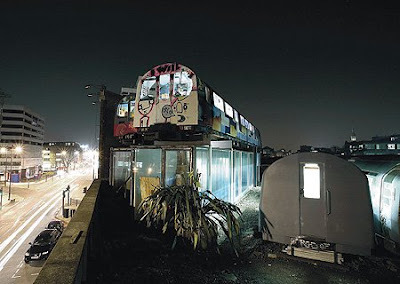 Village Underground, is the brainchild of the ambitious 29-year-old furniture designer Auro Foxcroft. 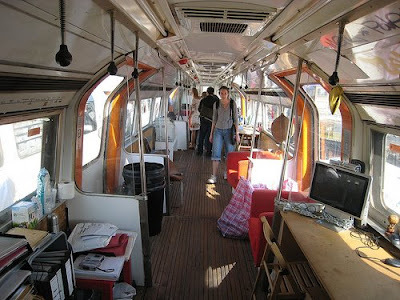 Four former subway carriages and three shipping containers were positioned, secured, and transformed into open-plan working spaces, which offers a low-cost alternative in a high-rent area. 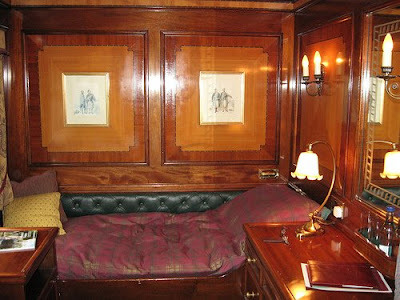 The idea to use the subway trains came to Foxcroft during a funicular train ride in Switzerland. 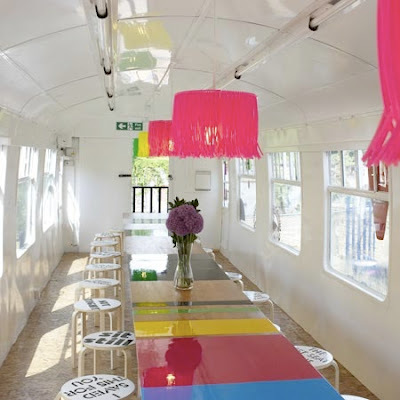 Located in Deptford, London, designed by Morag Myerscough a cafe built from a train is selling sustainable farmed coffee while the City's first suburban railway station dating from 1836 is being renovated. 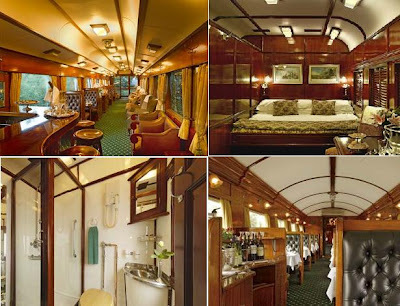 This rail car home in Portland was created from a 1949 Portland sleeper car and its interior features include a full electric kitchen, DSL and an toilet. 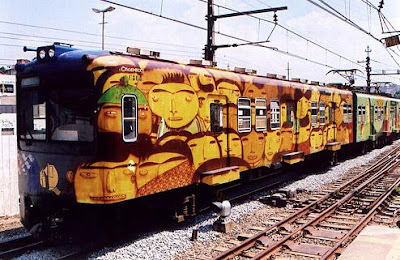 Creativity With Trains: Here we have graffiti on trains. 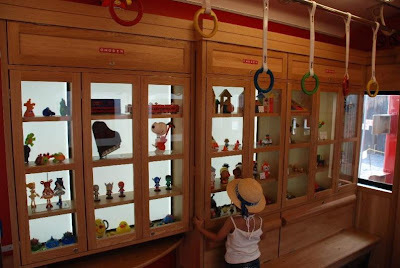 Cabin made from an old Caboose. 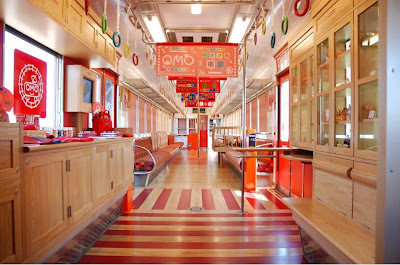 This train was a part of promotional advertisement by IKEA, a Swedish furniture company (which pioneered flat-pack design furniture at affordable rates, is now the world's largest furniture manufacturer) for their new retail store at Port Island. 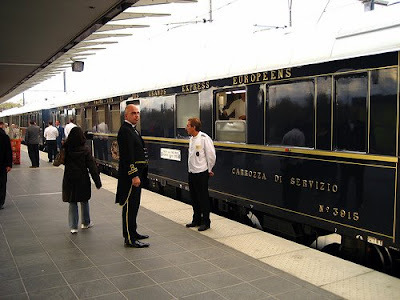 Royal Trains: How can we conclude the post without the royal trains? 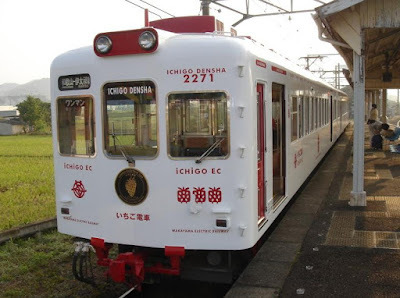 JR East E655 series, one of the dedicated train cars for the Imperial Family.